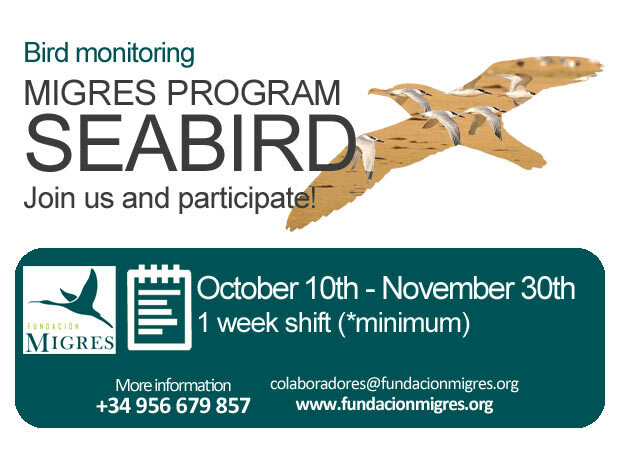 Migres is a long-term monitoring program of bird migration through the Strait of Gibraltar based on standardized constant effort protocols. Every year we run daily counts of migration always using the same observatories and schedule. In previous work we have identified the best observatories and time “window” to carry out bird counts. Based on this information we calculated abundance indices that reflect the actual number of birds passage allowing us to monitor changes in their populations and migratory patterns. The origin of the program dates back to 1997 (soaring birds) and 2001 (seabirds) currently being one of the greatest sustained efforts for monitoring migratory birds in Europe. Many groups of birds the corridor of the Strait of Gibraltar for their migration, such as soaring birds, seabirds, passerines and other small migrants, which has led to work with different census protocols. Do you want to join us in the monitoring of seabird migration through the Strait of Gibraltar? You have all the information here. Just fill this application form. 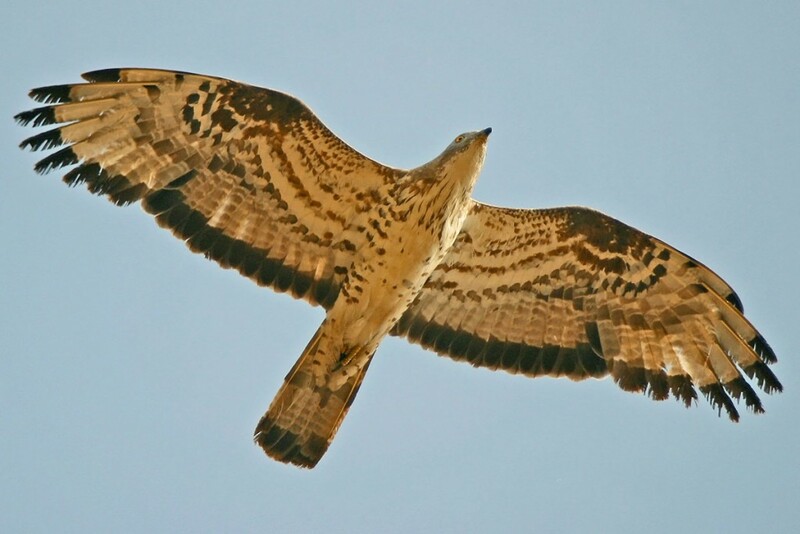 Soaring birds use an special type of flight based on exploiting rising air currents –thermals, slope winds, …- in order to gain height thanks to its large wing surfaces, then gliding up to reach a new bubble of rising air. Since these currents are not formed over the sea, the birds have certain limitations for long journeys over the sea. Thus, the Strait of Gibraltar acts as a natural bottleneck that concentrates hundreds of thousands of storks and birds of prey passing between European breeding areas and African wintering ones. Thirty species cross regularly during their pre- and post-nuptial migration, among which stand out for their entity the white stork and black kite (more than 100,000 individuals each), the honey buzzard and the short-toed and booted eagles (tens of thousands of individuals) and more discrete but significant numbers of black storks, sparrowhawks, Egyptian vultures, Griffon vultures, marsh and Montagu’s harriers, ospreys and lesser kestrels. The prenuptial migratory passage is concentrated in the months of February to May while the postbreeding occurs between mid-July and mid-October. 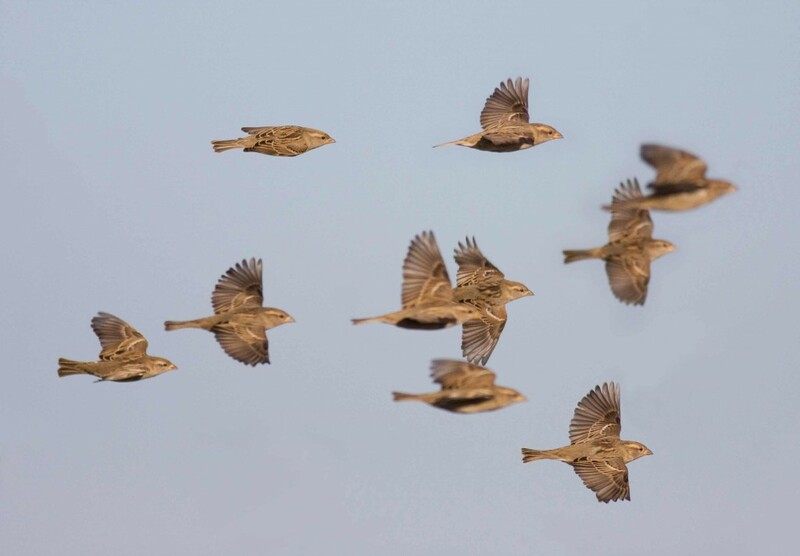 Daily censuses are conducted from the observatories of Cazalla and Punta Carnero in spring and from Cazalla and Algarrobo in the post-nuptial migration. Seabird watching has always been conditioned to mainly pelagic behavior of these birds, so monitoring from the mainland is not an easy task for most of coastal observatories. The island of Palomas or Tarifa is the perfect place for monitoring this group of birds, because all the seabirds that breed or overwinter in the Mediterranean Sea at some period in their life cycle, should cross through the only natural connection between the two bodies of water: the Strait of Gibraltar. During these movements, seabirds fly near enough the coast that permit for rigorous monitoring of their migration. The Strait of Gibraltar funnel almost all Cory´s and Balearic shearwaters that breed in the Mediterranean Sea, the latter classified as endangered species. 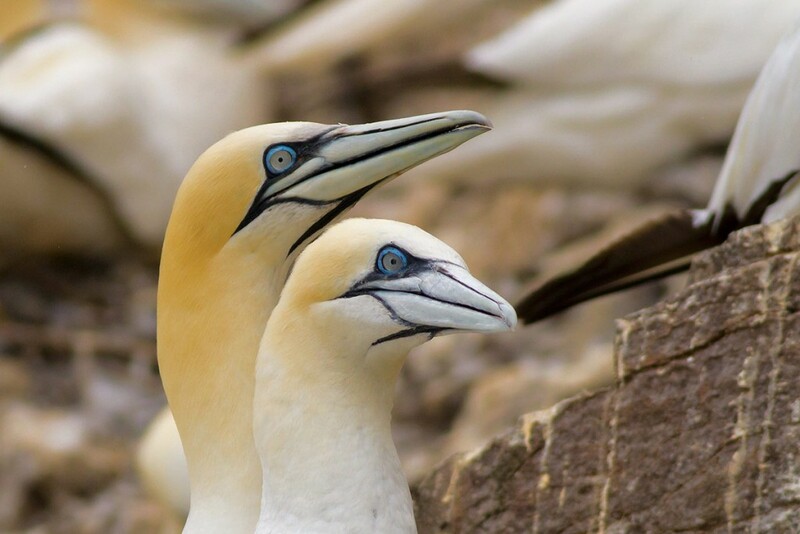 This channel is crossed by hundreds or thousands of gannets, razorbills, Atlantic puffins, great skuas, and a total of more than 35 species identified during our monitoring program. More than 80 songbird species cross regularly the Strait, including many small passerines and other allied groups. During fall migration, Gibraltar area is located on the eastern edge of the great trans-Saharan migratory axis used by most of songbird crossing the Iberian Peninsula in NNE-SSW direction towards the southwest of Iberian peninsula. At the same time, the Straits plays an important role as wintering or transit area for multitude of northern pre-Saharan migrants. Regarding the spring migration, there are strong evidences that the return to the breeding areas runs more directly, faster and using easternmost routes than autumn, both through African and the Mediterranean crossing. Accordingly, the Campo de Gibraltar seems to be more important for trans-Saharan songbird migration at this time, in the middle of the migratory axis, with frequent and massive arrival of migrants to the area.